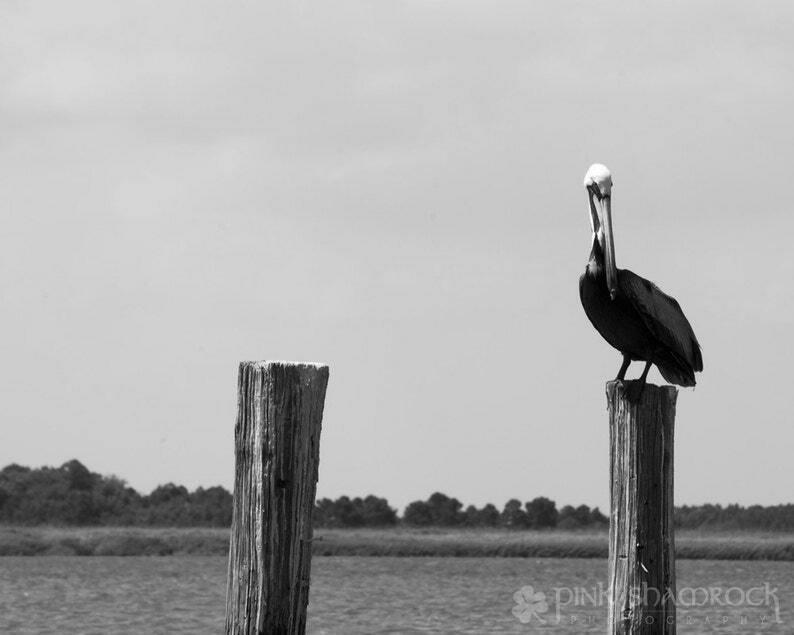 This image is part of a series of Brown Pelican images taken in Edisto Island, SC during November 2010. This pelican was particularly cooperative in allowing me to photograph him so I decided to share his portrait with you! Prints are from a professional photography lab, printed on Ilford True Black and White Paper. Matte finish Kodak Professional Supra Endura VC Digital Paper is also available upon request.